As I've mentioned before photography is all about painting with light. It is using the way light gets absorbed, reflected and refracted to create an image. I'm still a very traditional girl and still love film photography, and I do believe that analogue photography does explain the essence of understanding what light actually does to give you the ability to capture an image using light. I will get into the basics of film at a later stage but this is a simple article to explain the basic facts about light and how it acts. It's essential to understand light as you need these technical objections to be combined with aesthetic aims to produce an outstanding picture. It is simple to understand that photography depends on light. Exactly the same way our sight depends on it. Why can we not see in the dark? There is no light from the sun reflecting from all the surfaces around us to be visible. What is light and how does it have to power to allow us to see the beauty that surrounds us? 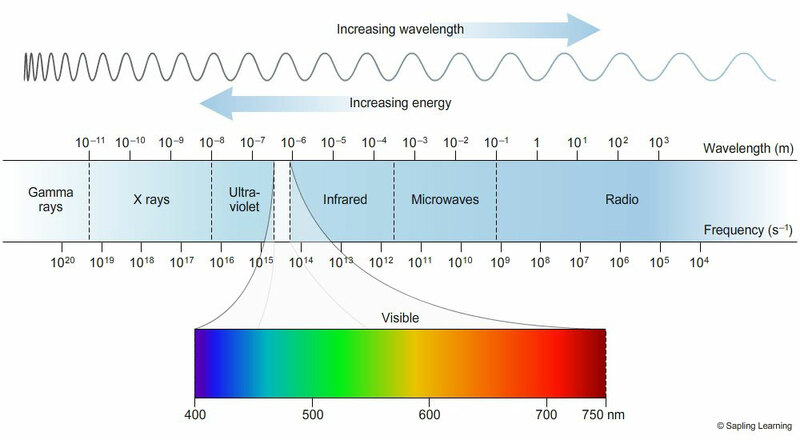 I'm going to try and keep this simple: Visible light is what humans see and forms a very small part of the whole spectrum of electromagnetic waves, ranging from gamma rays to radio waves. The reason humans can only see visible light is because the chemical reaction in the carbon based chemistry of our cells, that allows us to see, only gets triggered by waves around this range. Any longer, it doesn't carry enough energy to trigger a reaction and any shorter, too much that can damage this chemistry, like sunburn from ultraviolet light. Light is a mixture of many different colours. If you look at the rainbow or maybe you saw how white light splits through a prism. This also have to do with the fact that they have different wave lenghts and will bend in a slightly different way than the other colours. When light hits an object – say, a leaf – the object absorbs some of the light and reflects the rest of it. Which wavelengths are reflected or absorbed depends on the properties of the object. 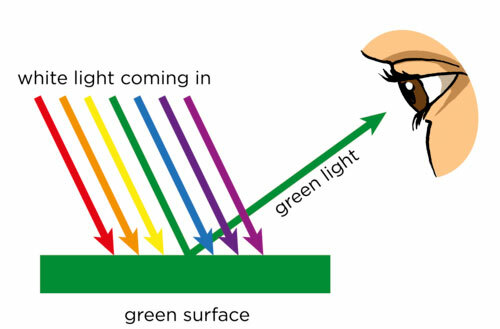 This light then travels in turn to the light sensitive retina in the eye where the message gets sent to the brain: green. Electric light uses these qualities and simplifies it to create light, that looks to the normal eye like daylight, but not exactly. This is why the sun makes different pictures than florescent or incandescent light. The colour of light will effect your image accordingly. Think of the cold blue light of florescent lights in a hospital and the warm effect of the incandescent lights in your lounge. This has to do with the colour temperature of the light. Our eyes naturally adjust to this but not film or the sensor of your camera. Colour temperature gets measured in kelvin, over 5000 K are cool colors, while lower color temperatures (2700–3000 K) are warm colors. Daylight being between 5000K and 6500K. It is based on the principle that any object will emit light if it is heated to a high enough temperature and that, as the temperature increases, the color of that light will change along with the temperature. As you've noticed this was a simple basic explanation and not a complete scientific exploration. The aim was to get you to understand what you're working working with when taking a picture. Next time I'll dig into how light bends through materials. This will have an effect on how different lenses distorts your images. Please contact me if you have any questions.